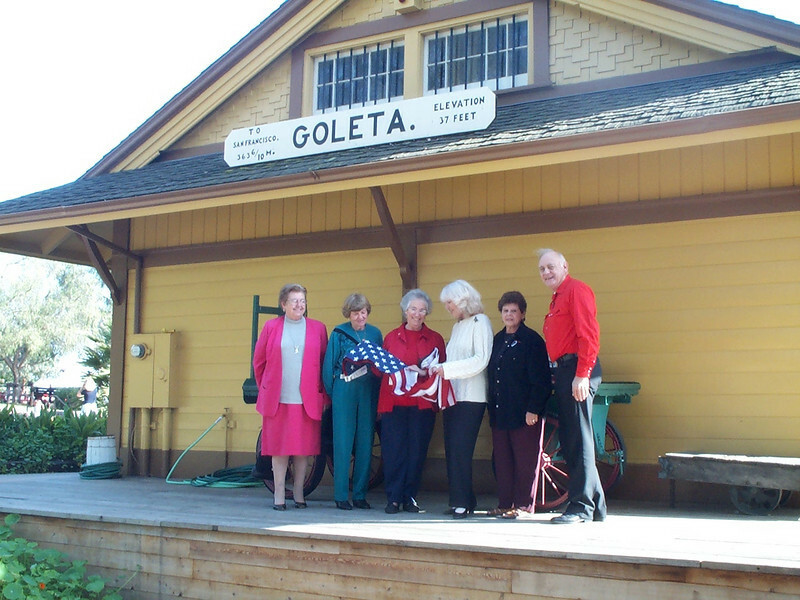 The Native Daughters of the Golden West, Reina Del Mar Parlor, donated a pair of American and California flags to the museum as part of a Nov. 16, 2001 presentation ceremony presided over by parlor president Dolores Hartnett. Other members of the presentation team were Native Daughters Betty Dominguez, Alice TarBush and Thelma Tate and Dolores’ husband, Al Hartnett. Museum Assistant Director Phyllis Olsen accepts the American Flag from Parlor President Dolores Hartnett.